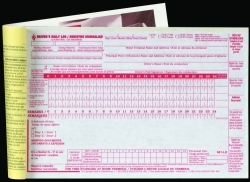 Canadian Driver's Daily Log Books contain all the required items to help drivers comply with Canada's Commercial Vehicle Drivers Hours of Service Regulations. English/French versions are available with detailed DVIR, with or without 7- and 14-day recap. English-only version available with detailed DVIR plus 7- and 14-day recap. 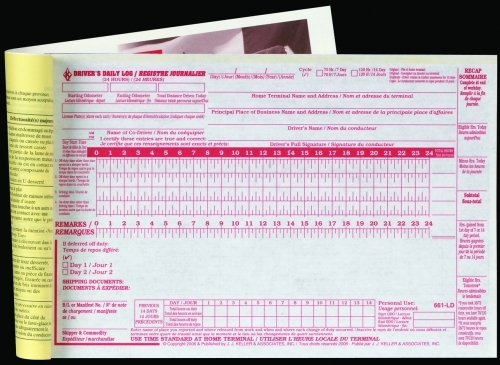 Books include instructions, NSC 13: Schedule 1, and monthly log summary sheets, which are specific to both Canada and the United States for cross-border operations. 31 sets of 2-ply forms per book, plus sheet of carbon paper.